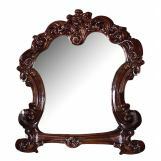 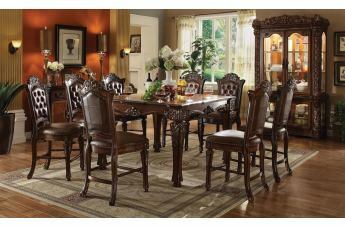 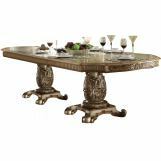 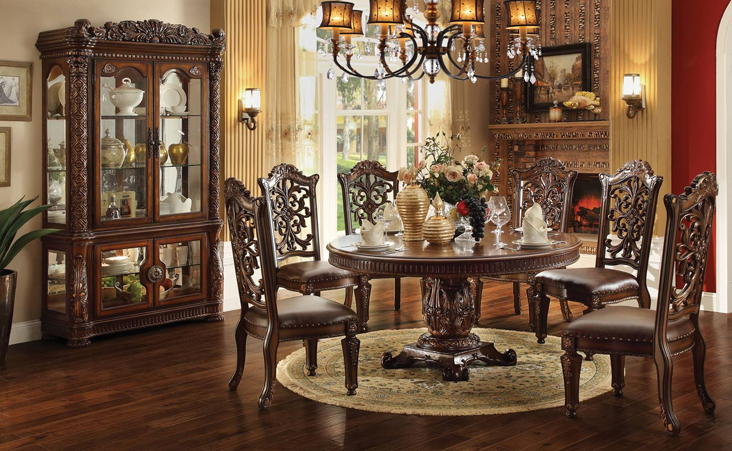 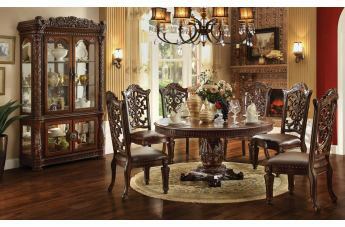 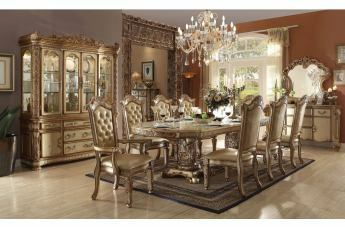 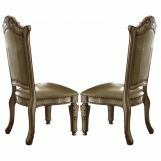 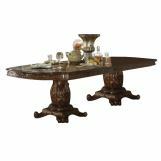 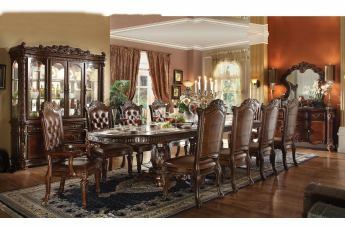 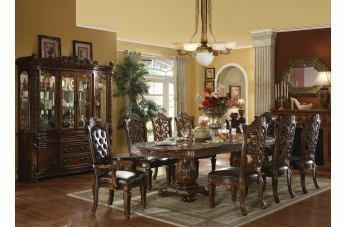 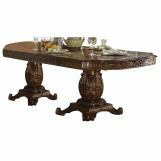 This rich, traditionally designed Vendome Collection by Acme Furniture celebrates a double pedestal table with two 18-inch extension leaves and oversized, heavily carved base. 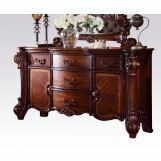 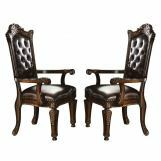 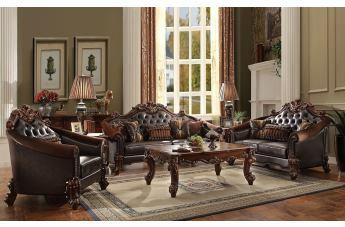 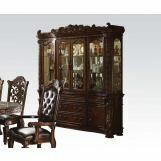 Matching chairs feature beautifully carved back and legs, as well as brown leather like bycast padded seat enhanced with decorative nailhead trim. 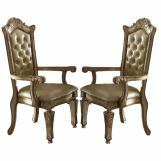 Arm chairs offer brown leather like bycast button tufted back to create more originality within the collection.